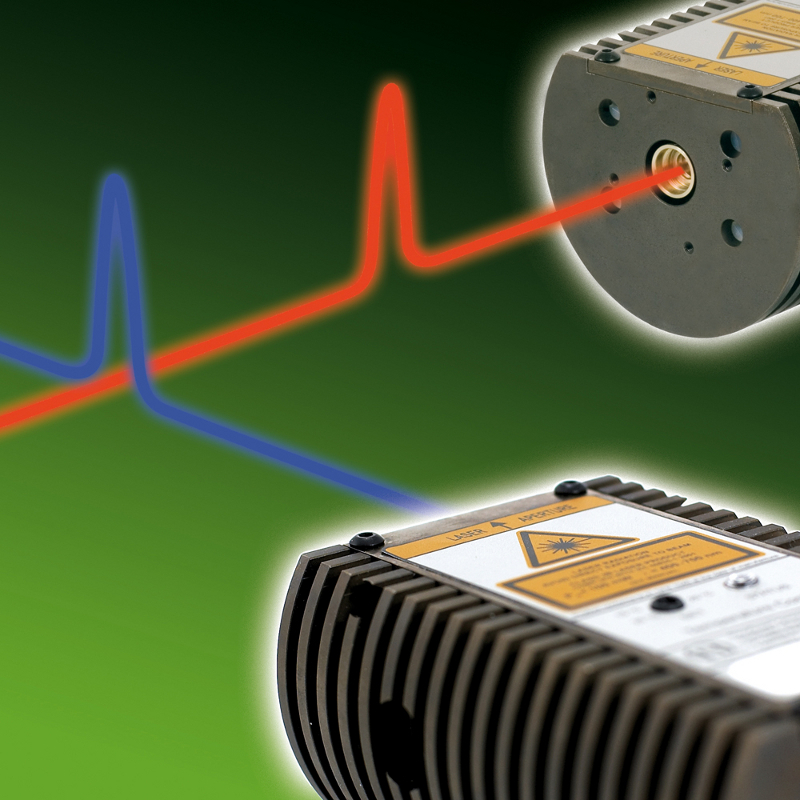 PicoQuant GmbH has again extended the already large number of available wavelengths of picosecond pulsed diode lasers by the release of a new laser head at 450 nm and a very much improved laser head at 635 nm. Both laser heads can be controlled by the established laser drivers of the PDL Series. 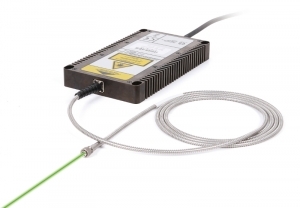 PicoQuant GmbH announces the release of the long-awaited 531 nm (“green”) picosecond pulsed diode laser head. The new green diode laser (“LDH-P-FA-530”) is based on a master-oscillator fibre-amplifier (MOFA) concept with frequency conversion. 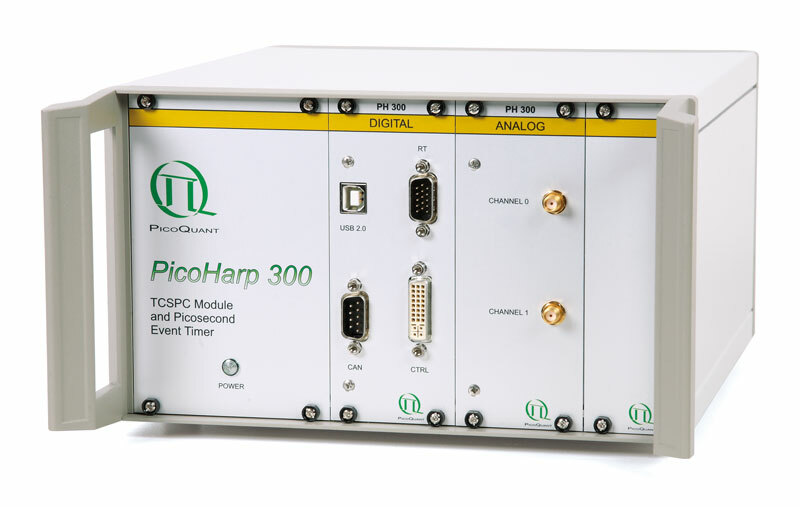 A new data acquisition software is now available for the PicoHarp 300 Time-Correlated Single Photon Counting system from PicoQuant. The new version 2.3 provides a new real-time correlator for Fluorescence Correlation Spectroscopy that calculates two autocorrelations and the cross correlation between two photon streams simultaneously, making best use of current multiprocessor systems. 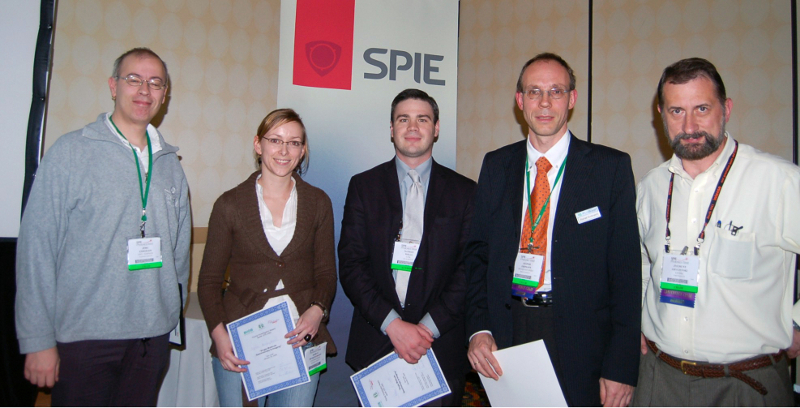 Between January 24 and January 30, 2009, SPIE organized a special symposium about „Biomedical Spectroscopy, Microscopy, and Imaging“ as part of North America's Largest Photonics Event („Photonics West“). The „Single Molecule Spectroscopy and Imaging“ conference was surely one of the highlights of this symposium, and about 150 scientists enjoyed more than 40 presentations. 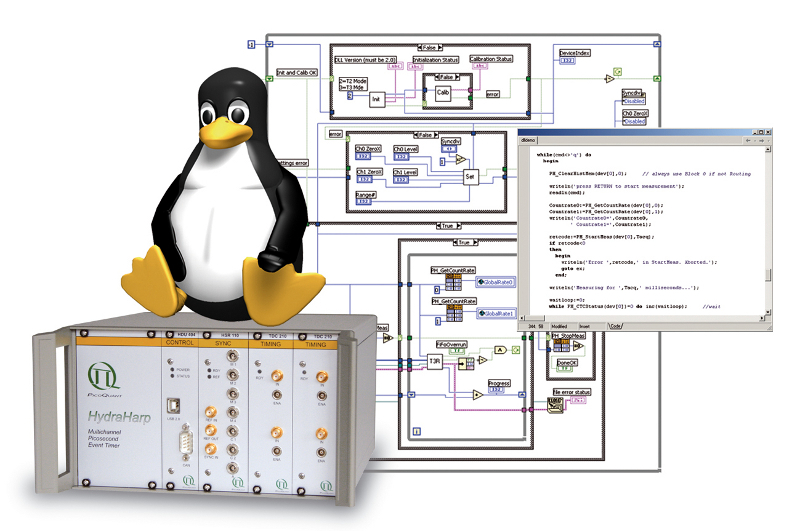 A programmer's library is now available supporting the HydraHarp 400 Time-Correlated Single Photon Counting system from PicoQuant under the GNU Linux operating system. The library is fully API compatible with the corresponding library for Windows. 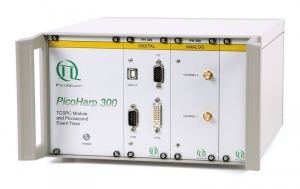 It comes as a shared library supporting all features of the HydraHarp 400, including the instrument's Time-Tagged Time-Resolved (TTTR) mode, were all photons or other events are captured as precisely timed individual records. The anniversary workshop will take place Sept. 3-6, 2019. Abstracts can be submitted until May 15, 2019. Deadline for registration is April 22, 2019. Save the date. Registration for our 17th European Short Course on “Principles and Applications of Time-resolved Fluorescence Spectroscopy” in Berlin opens in June.